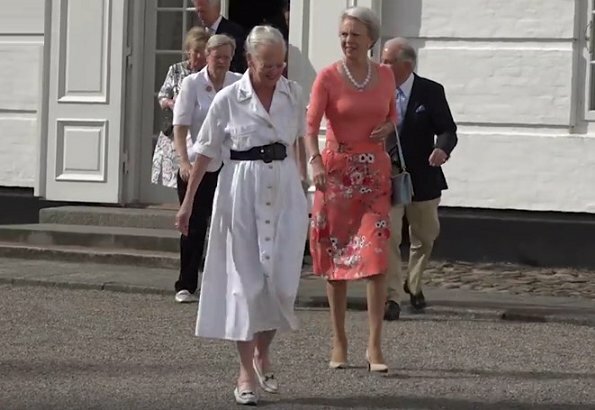 Queen Margrethe and Benedikte are looking lovely. Classy and elegant in their own style. Benedikte looks always so elegant. Lovely colors. Lovely hair. Lovely Ladies on their way to church. 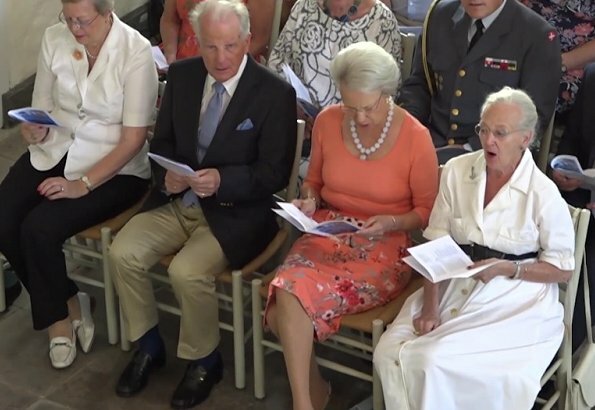 Q M with a nice white dress, Pss Benedikte in a nice peach outfit. The Church at Grasten seem to be a nice size. 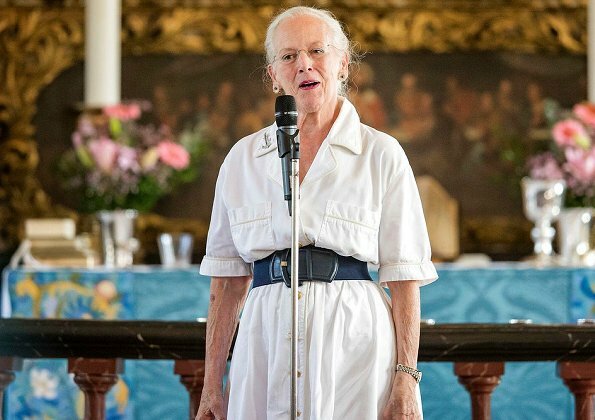 Queen Margrethe designed and embroidered the blue altar hanging. It was presented and blessed at today’s worship, replacing one her mother, Queen Ingrid, made about 75 years ago. Queen Margarethe II designed and embroidered the altar hanging seen in the background of middle picture. It was presented and blessed at today's worship. It replaces an altar hanging made by her mother, Queen Ingrid, about 75 years ago. Die Königin und ihre Schwester sind jetzt beide auch durch ihre Witwenschaft viel öfters zusammen im Einsatz für Dänemark : Schön finde ich das ! Die damaligen Prinzessinnen hatten ja eine schöne Kinder und Jugendzeit zusammenerlebt erlebt !! It is nice that the two sisters are so close, now that they are both widowed. 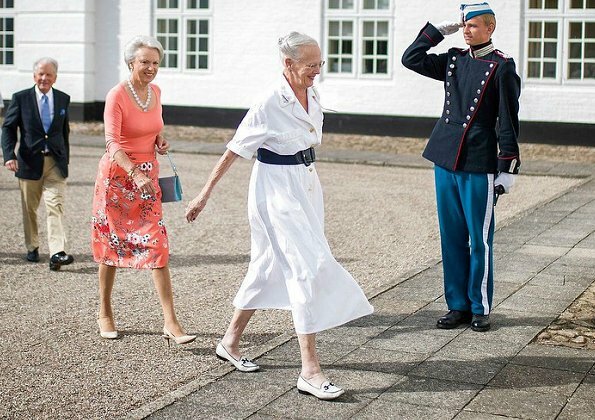 Queen Margrethe and Benedikte look very fabulous.